Â I donâ€™t know if youâ€™ve noticed, but in the past couple ofÂ yearâ€™s banks have changed.Â Banks have really changed.Â If you donâ€™t know what I am talking about, stop in your bank when you have time.Â Try and find a few familiar faces, people you have worked with or even just have seen over the years.Â You might notice a lot of new faces. Banks provide their customers a way to conveniently use their money, while providing tools they need to keep track of their expenses. Â For the most part, banks all offer the same thing. Â They have checking and savings accounts, loans, investments, and all the features that come with. Â I have worked in a bank for the last 6 years, and I would like to share the benefits, negatives, and special offers a few of the major banks offer. Should I use Online Banking? 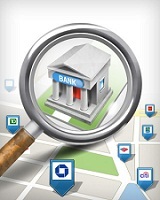 Online banking is now the most common way to do your banking. It offers an easy way to maintain a budget, it saves time, provides a real time balance, and you can pay your bills without ever leaving home. That being said, is online banking safe? $100,000 will earnÂ youÂ $9.96.Â Â That isÂ not even enough interest to be reported on your taxes. Online savings accounts offer convenience and accessibility, as well as higher interest rates.Â Â The best online savings accounts typicallyÂ offer higher rates because they do notÂ have the brick and mortar branchesÂ that conventional banks have.Â They do notÂ have to pay for the lease, the utilities, or any of theÂ costs that accompany an actual building to service customers.